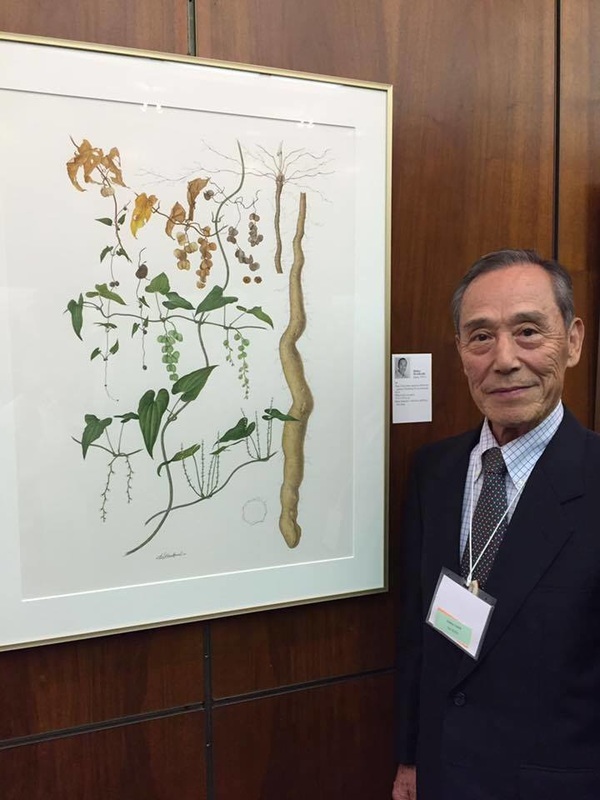 an International Exhibition of Botanical Art & Illustration every three years. It's considered to be a great honour to be invited to exhibit at the Hunt Institutes' International exhibition and to have your artwork added to their collection. The first exhibition was in 1964. ​The latest exhibition was held between 15 September and 15 December 2016. ​The next exhibition is in 2019 - and the deadline for entries was June 2018. 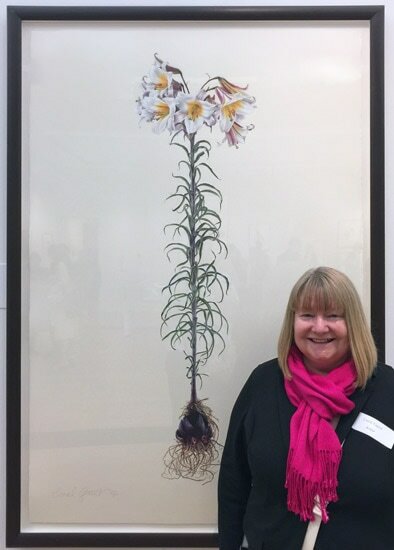 The exhibition is open to all botanical fine artists and illustrators working in any medium on paper or vellum (except photography) whose work has achieved a standard of excellence and who have not yet been represented in the International series. When is the exhibition held? Eligibility for exhibition: who and what? All submissions for the exhibition are juried. who have not yet been represented in the International series. The entry for the next (16th) Triennial exhibition in 2019 is now closed. Below are the relevant documents for the record. Exhibition: 41 watercolors, drawings and prints by 41 artists from 14 countries. 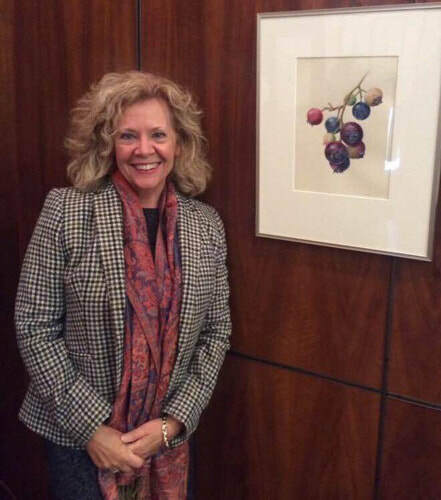 Reception: 17 October, 6–8 p.m., in conjunction with the American Society of Botanical Artists annual meeting and educational conference (17–19 October). The artwork and artists in the last two exhibitions have been much reduced compared to previous exhibitions (i.e c.40+ artworks by c.40+ artists). 2016 (15th September - 15 December 2016) - 43 artworks by 43 artists from 15 countries see my blog post Selected Artists for Hunt 15th International Exhibition which lists botanical illustrators and their exhibits by country. 2017 (mid-September - mid December 2018) - 41 watercolors, drawings and prints by 41 artists from 14 countries. 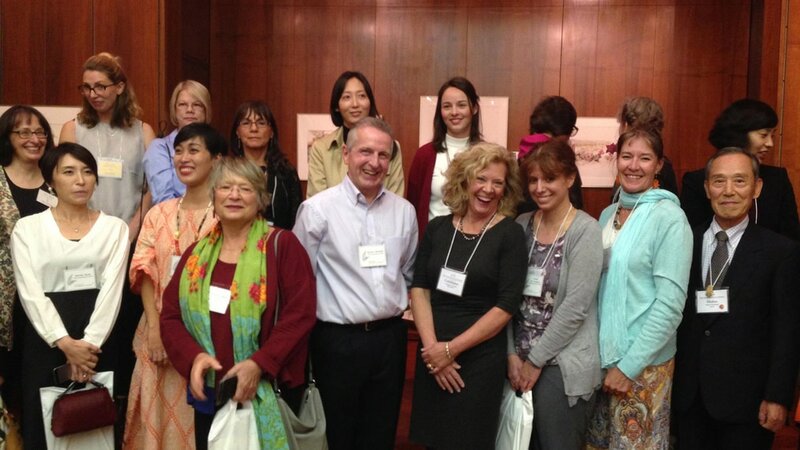 15th International Exhibition of Botanical Art & Illustration Front row, from left, Mariko Ikeda, Eunike Nugroho, Silvana Volpato, Robert McNeill, Constance Scanlon, Carrie Di Costanzo, Jenny Hyde-Johnson, Hideo Horikoshi. Back row, from left, Assistant Curator of Art Carrie Roy. Curator of Art Lugene B. Bruno, Heidi Snyder, Dolores Diaz, Hye Woo Shin, Lauren Sahu-Khan, Rose Marie James, Nan Wiggins and Seung-Hyun Yi. Missing from the picture are: Suguri Makino, Atsuko Nishiyama and Keiko Kobayashi. There are a series of International Exhibition Catalogues - one for each exhibition. The catalogues feature watercolors, drawings and prints by and portraits, biographies and bibliographies of contemporary artists and a cumulative index of those represented thus far in the International series. Print versions: All are now out of print - but records are now available in digital format - see below. However, it's possible to source used copies of out of print catalogues via second hand booksellers and online. PDF Versions: The Hunt Institute has now digitised all the catalogues. These are now available to download from their website or via the links below. ​4th Exhibition: Compiled by Sally W. Secrist and N. Ann Howard. 1977. Catalogue [of the] 14th International Exhibition of Botanical Art & Illustration 108 pp. ; 41 color, 41 b&w figs. 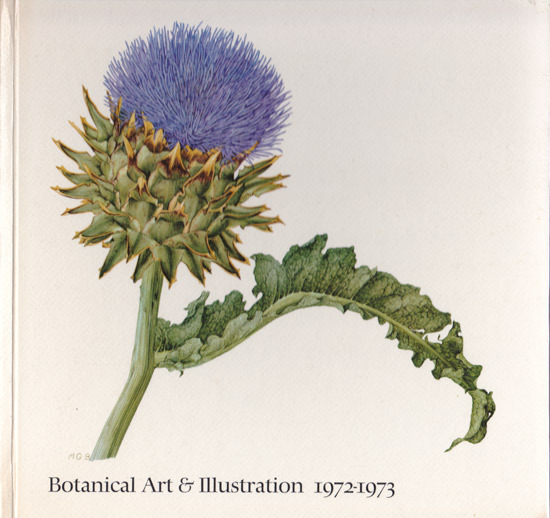 Catalogue [of the] 13th International Exhibition of Botanical Art & Illustration 198 pp. ; 110 color, 72 b&w figs. Catalogue [of the] 12th International Exhibition of Botanical Art & Illustration 190 pp. ; 111 color, 64 b&w figs. Catalogue [of the] 11th International Exhibition of Botanical Art & Illustration 171 pp. ; 94 color, 62 b&w figs. Catalogue [of the] 9th International Exhibition of Botanical Art & Illustration 192 pp. ; 85 color, 24 b&w figs. Catalogue [of the] 8th International Exhibition of Botanical Art & Illustration 178 pp. ; 109 b&w figs. Catalogue [of the] 7th International Exhibition of Botanical Art & Illustration 142 pp. ; 94 b&w figs. Catalogue [of the] 6th International Exhibition of Botanical Art & Illustration 142 pp. ; 97 b&w figs. Catalogue of an Exhibition of Contemporary Botanical Art and Illustration [1st International] 80 pp. ; 58 b&w figs. alphabetically within that country list. The number after each name reflects which exhibition they exhibited in (see above for exhibition numbering.). It also includes references to artists participating in earlier exhibitions where these have been identified. ​Some artists (in the early exhibitions) have exhibited in more than one. Now the catalogues have been digitised ​I will be adding more of the names and countries of artists participating in earlier exhibitions. I will use this list to review which artists need to be added into my listings of botanical artists by continent and media. 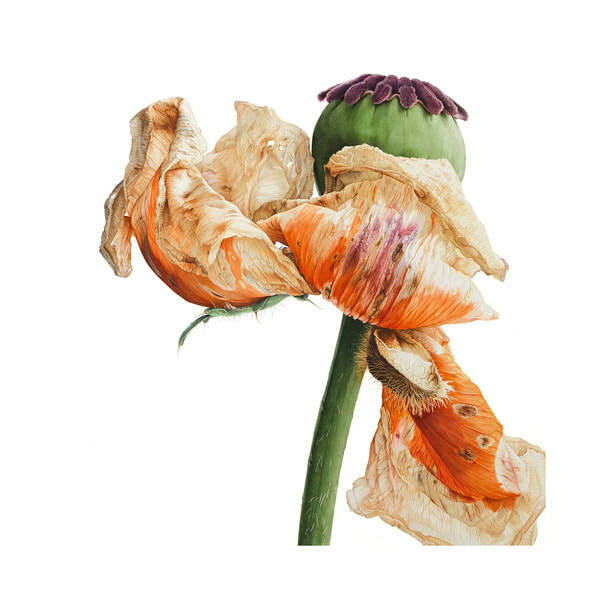 ​If ever a botanical art collector needed a shopping list of artists to look at this is it! ​This list includes all GB artists in the 3rd Exhibition as the distinction between countries occurred after this date.